Share names must be unique. Note: Share names are not case-sensitive. The maximum length for a SMB share name is technically 255 characters, but in an Avere cluster the share name is combined with its server’s NetBIOS name (maximum 15 characters) for an internal reference. A share name longer than 239 characters is not recommended because such a name can possibly exceed 255 characters when combined with the server name. In Namespace path, select the junction to be used for the share. Multiple SMB shares can use the same junction. 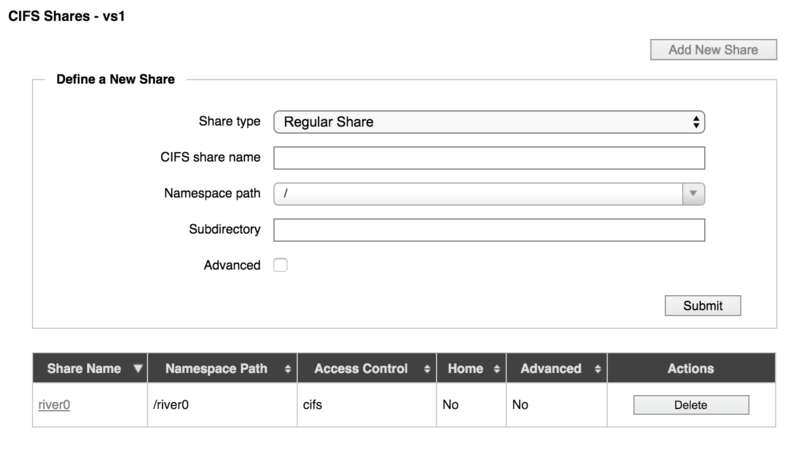 If you selected Home Share as the share type, the Subdirectory field is automatically populated with %U, which will be replaced with the username of a user on the SMB client. You also can use the %S option to create home shares. Click the Submit or Set Home button (the button text is different if the share type is Home Share). Avere OS does not support simultaneous multi-protocol locking. That is, you cannot lock a file or share from a SMB client and from an NFS client at the same time. Contact Avere Global Services to learn more. Avere OS does not read share-level ACL settings from core filers. 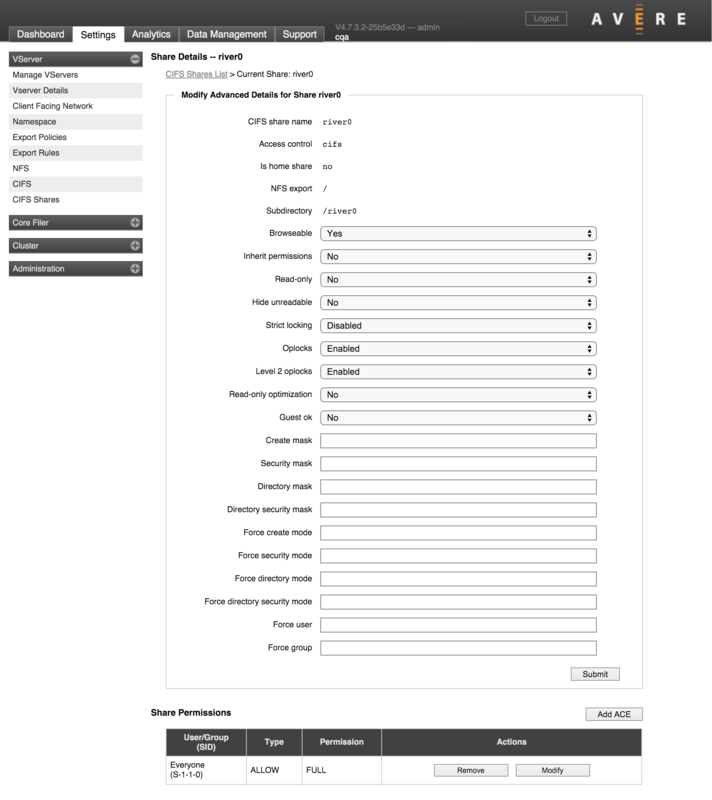 If you have share-level ACLs set on back-end storage, you must replicate the share access control settings on the Avere cluster’s SMB shares.